Route. 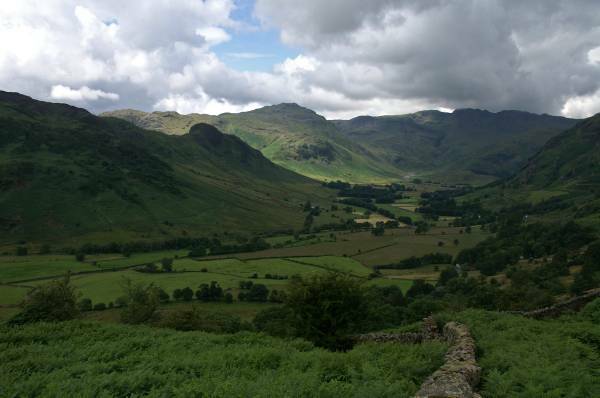 Nwe Dungeon Ghyll Hotel - Pye Howe - Row Pike - Blea Rigg - Stickle Tarn - Tarn Crag - Stickle Ghyll - New Dungeon Ghyll Hotel. Notes. 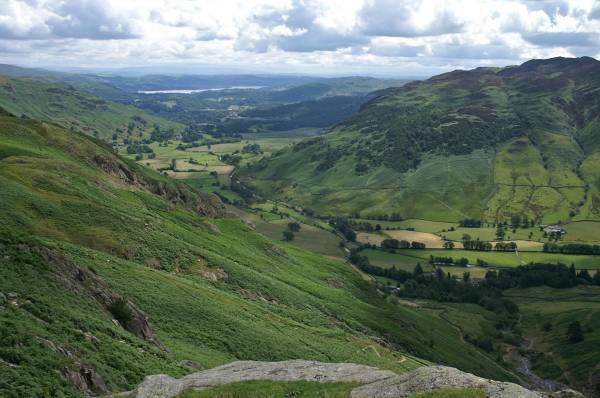 A short walk in and above Langdale today, I intended to avoid the crowds that inevitably flock to the Langdale Pikes, Bow Fell and the Crinkle Crags to hunt for solitude on Blea Rigg, then join the masses at the bottom of Stickle Ghyll later. 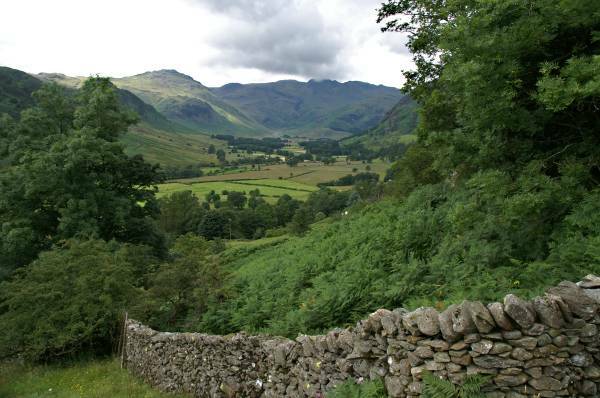 I parked at the New Dungeon Ghyll Hotel, the car park was almost full, from the car park a stony lane leads east down the valley, one mile later I was on the valley road heading west hunting for Pye Howe Farm. 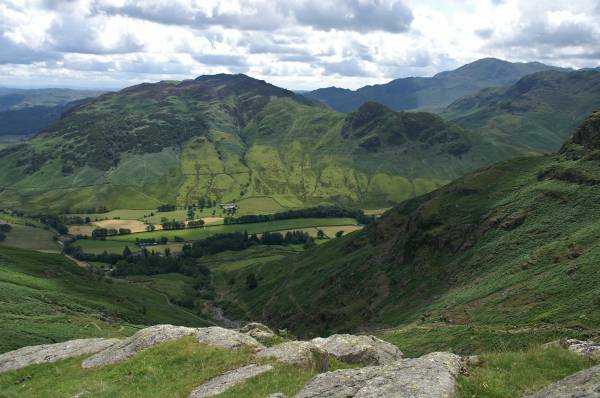 I passed the farm to reach a path climbing steeply through fields, leaving the valley behind I found myself on a steep ascent, zigzagging through bracken to reach Swinescar Hause and the main path along the broad grassy ridge between Langdale and Easedale. Here I turned left to follow the path over Little Castle How, Great Castle How and Blea Rigg before descending to Stickle Tarn, the path on the west bank of Stickle Ghyll was packed with red faced walkers, the path on the east bank I had to myself, it's a wonderful path nobody seems to use, I pass two climbers half way up on the cliffs of Tarn Crag before reaching the main path and crowds, it was a short walk back from here, unfortunately the sound of the waterfalls of Stickle Ghyll were drowned out by the many chatterers heading up hill. 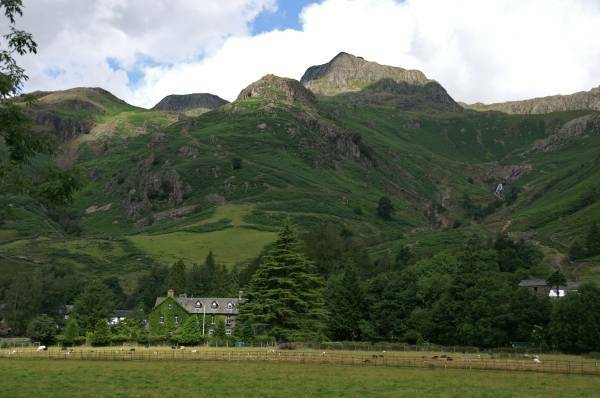 A classic view of the Langdale Pikes. 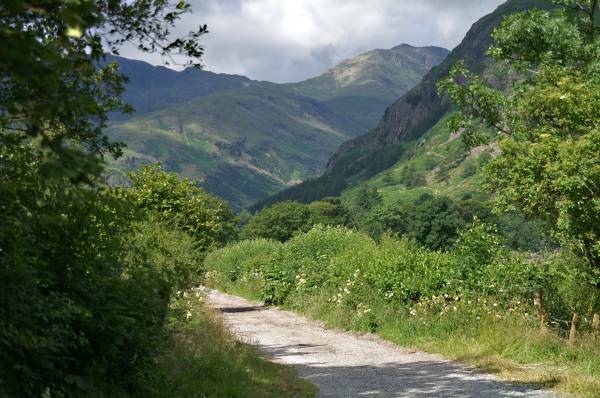 This lane was once the main road now a quiet track rarely walked, the view is The Band leading to Bow Fell. 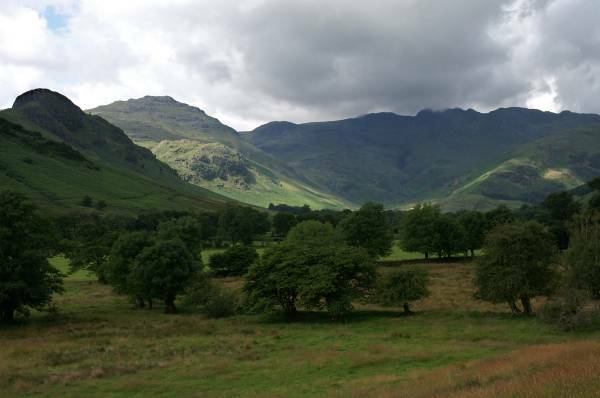 Under a grey cloud rising at the head of Oxendale the Crinkle Crags. 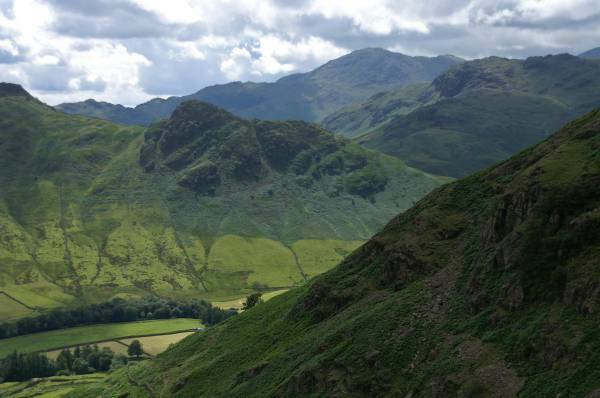 Leaving the valley looking back to the Crinkle Crags and Pike of Blisco. Ascend even higher and wonderful views like this open up, from left to right, Lingmoor Fell dropping to Side Pike, in sunlight Pike of Blisco leading to Crinkle Crags, The Band followed by the slopes of the Langdale Fells. 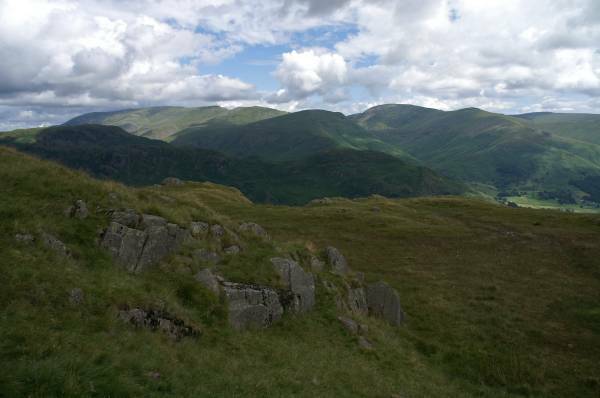 In the other direction, Lingmoor Fell, on the far horizon Black Fell above Elter Water. 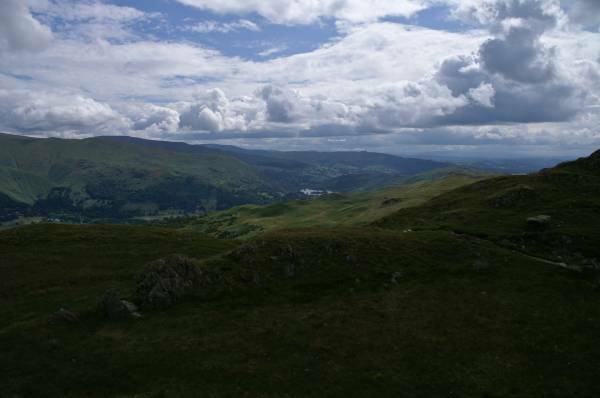 On Swinescar Hause with views to Heron Pike, on the far horizon Wansfell Pike. 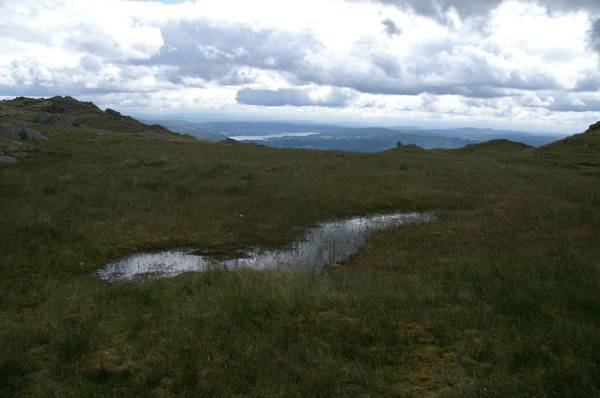 Pike of Blisco seen from near the summit of Blea Rigg. 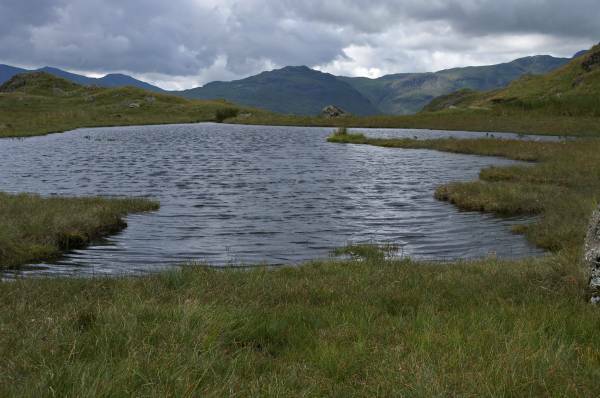 From Blea Rigg views to Easedale Tarn. 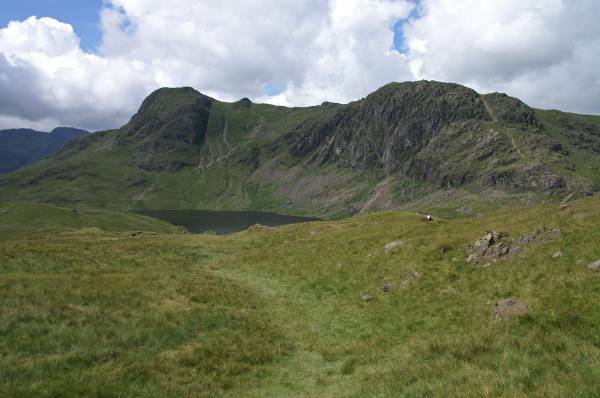 Views to the rugged heights of Harrison Stickle and Pavey Ark. 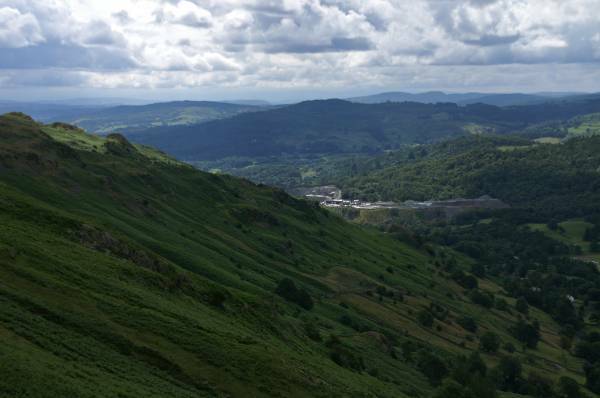 From a delightful secret corner on the descent to Stickle Tarn wonderful views to Windermere. 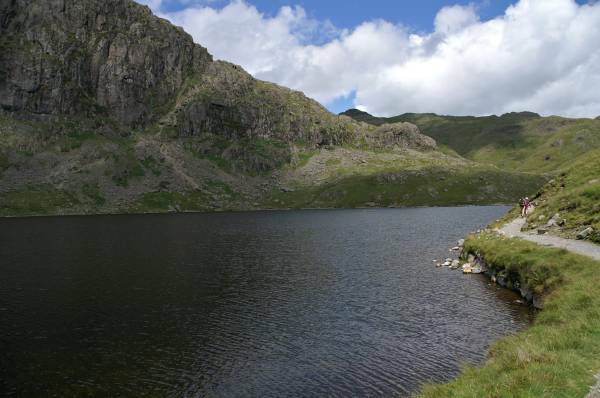 The first view of Stickle Tarn backed by the formidable cliffs of Pavey Ark, with Harrison Stickle to the left. 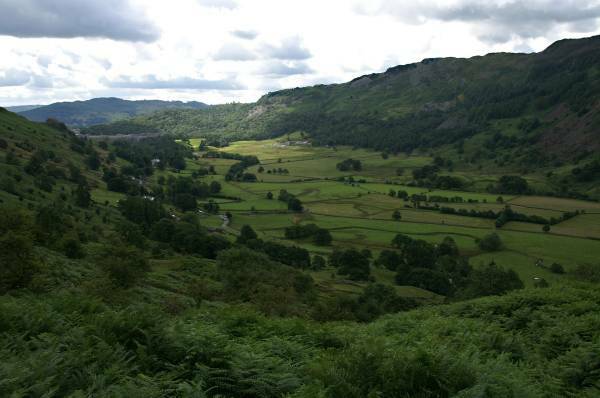 Uncompromising views the length of Great Langdale. 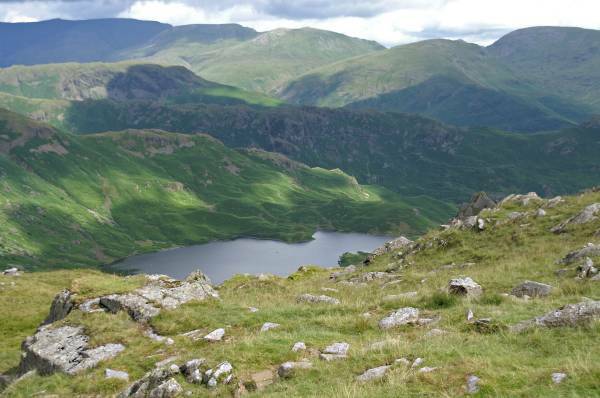 Seen from under the cliffs of Tarn Crag, Lingmoor Fell and Side Pike. 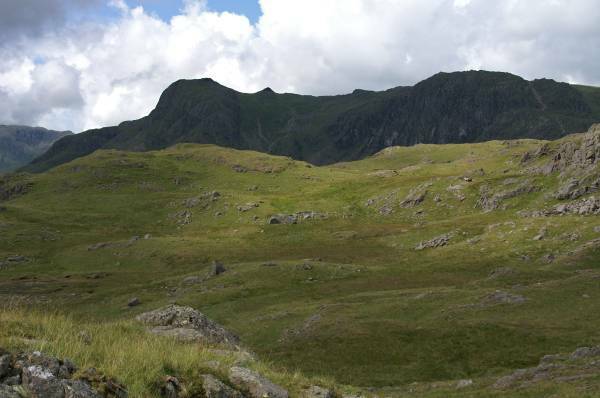 Wetherlam rising behind Side Pike and Pike of Blisco. 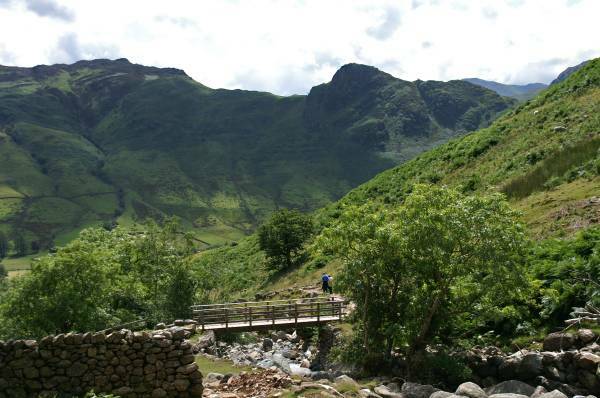 I've just reached the main path, here's a view over Stickle Ghyll to Lingmoor Fell and Side Pike. 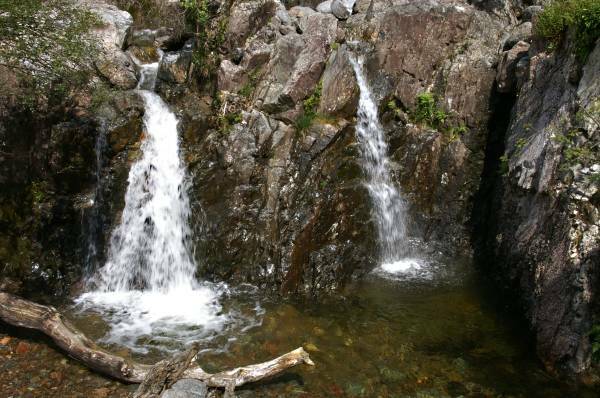 One of many cascades and cataracts stretching all the way to Stickle Tarn.